It's July 4th, Independence Day for the US. A cool morning greets us after the heat of yesterday afternoon. 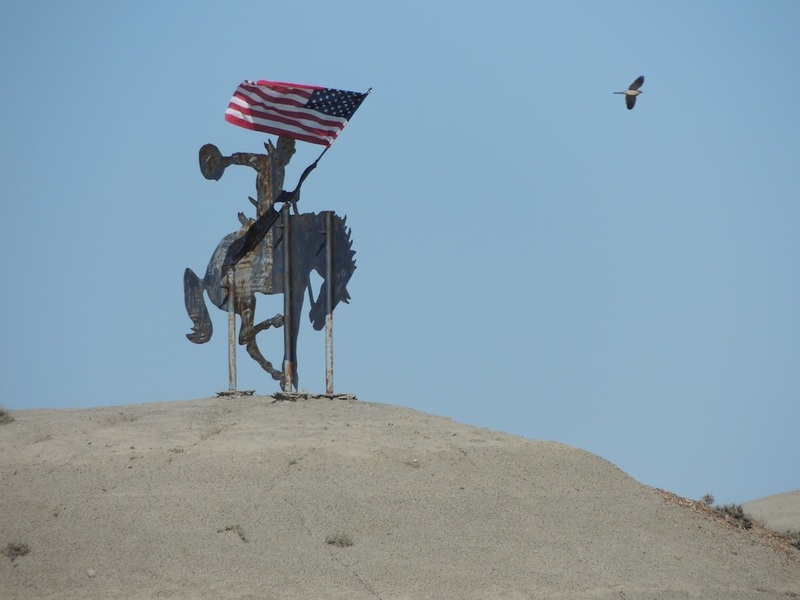 We head east into North Dakota and again fight a strong side wind until we turn south of route 85 and head to the Black Hills of South Dakota. Again there are miles and miles of plains with nary a building, tree or person in sight. As we cruise through North Dakota, we run into a rodeo on the side of the road, so we stop for a few minutes. There are big rigs transporting horses and people, we see ropers swinging the big lassos, barrel racers, dust, all the bright colors of clothing on the riders and of course, the ever-present 'cowboy' hats. This rodeo is in the small town of Marmouth, a town that has seen better days as a short cruise down the one main street shows mainly boarded up buildings. The photo of the boarded up building is a bank built in 1918, so there must have been livelier times around here in the past. 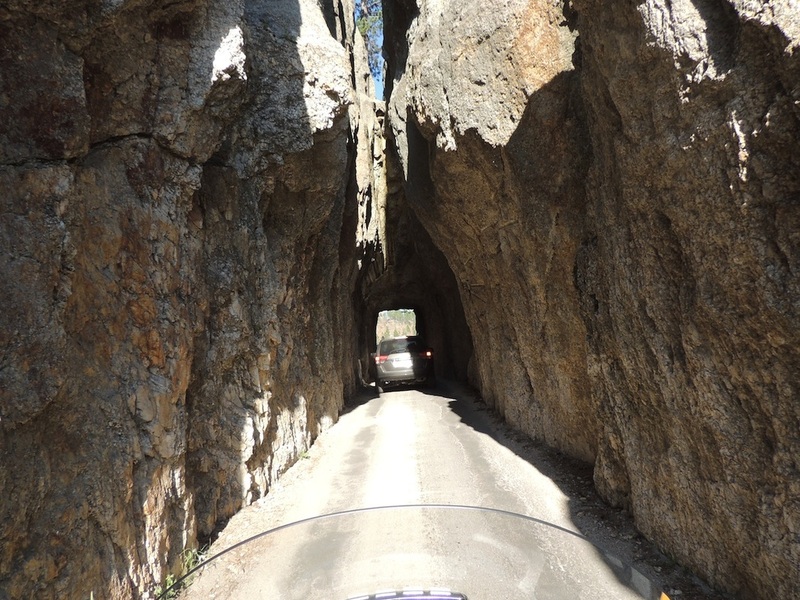 We get to Sturgis, South Dakota around lunch time. 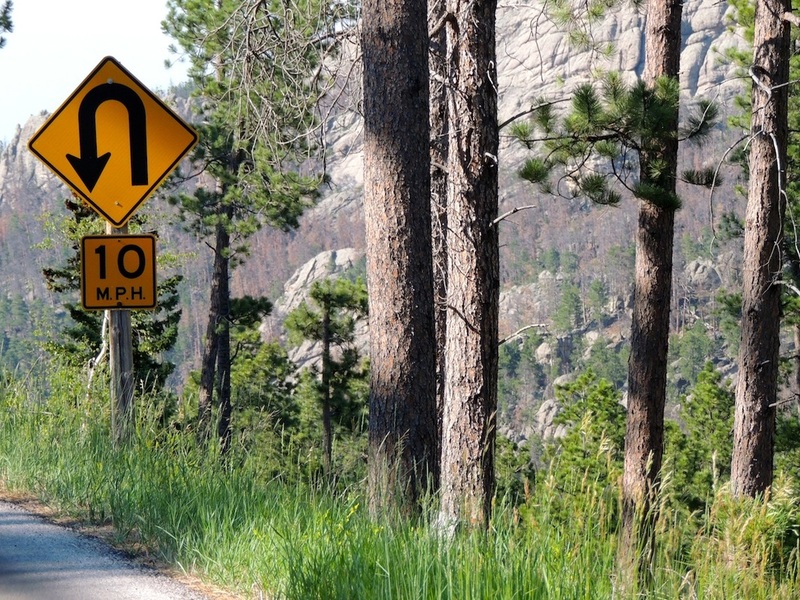 Sturgis is home to the largest motorcycle rally in the country. The rally this year is in August, so we missed all the action, but got to see the town and imagine the place filled with the roars of thousands of motorcycles cruising the area, parked 4 deep on the streets, vendors everywhere, the town filled with people from all walks of life all connected by the love of the motorcycle. There are t-shirt shops galore, bars, casinos, restaurants, campsites, hotels... anything that caters to this crowd. 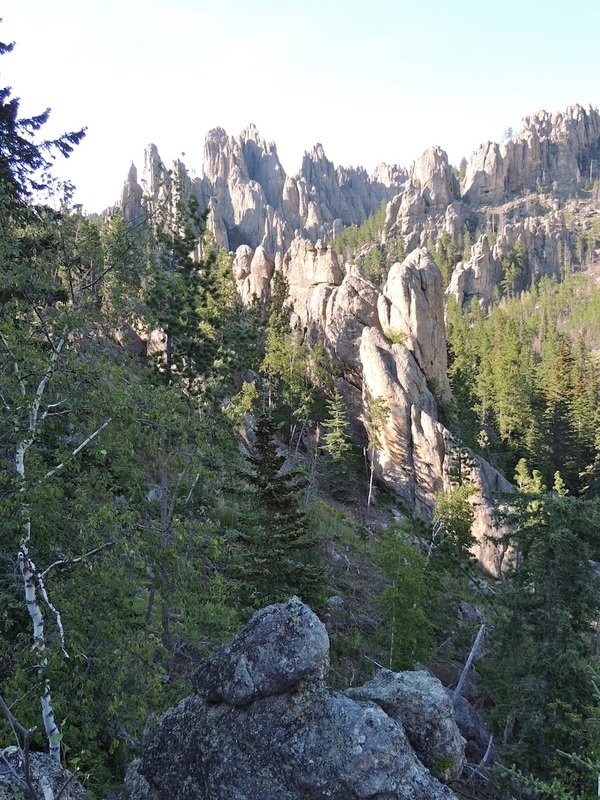 People camp for hundreds of miles around Sturgis to enjoy the wonderful riding opportunities and camaraderie. There is also an excellent motorcycle museum and we spend some time taking in vintage bikes from the early 1900's up to the present. 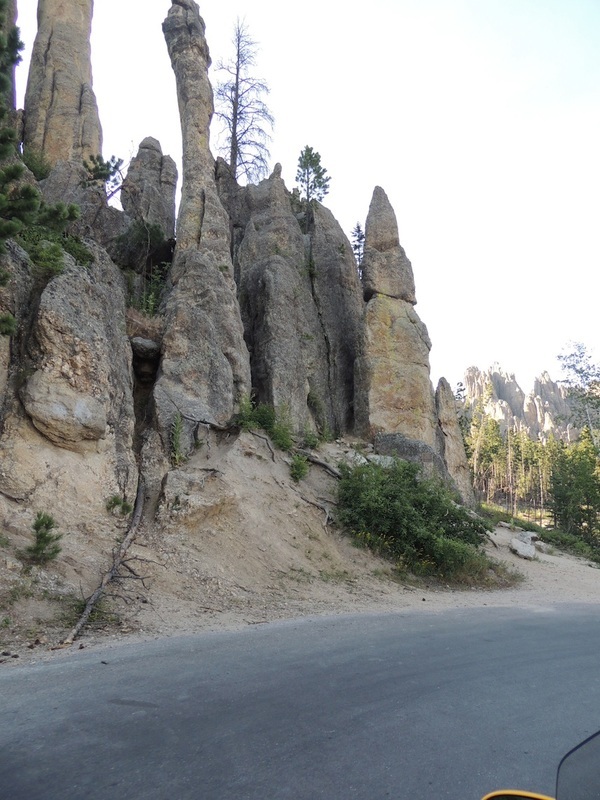 The next part of the day's journey takes us into the Black Hills of South Dakota, through Deadwood, and along the Needles Highway, named for the rock formations that look like tall skinny needles. 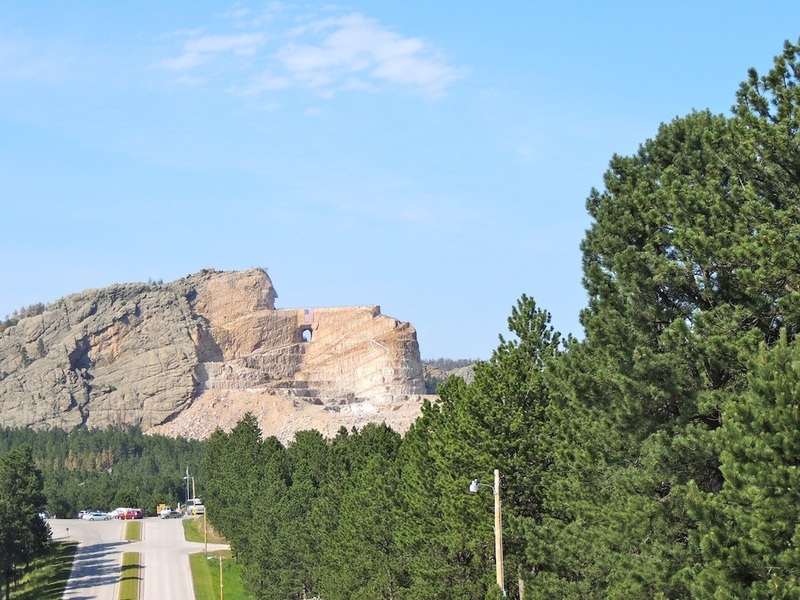 On to Crazy Horse monument and Mt. Rushmore. 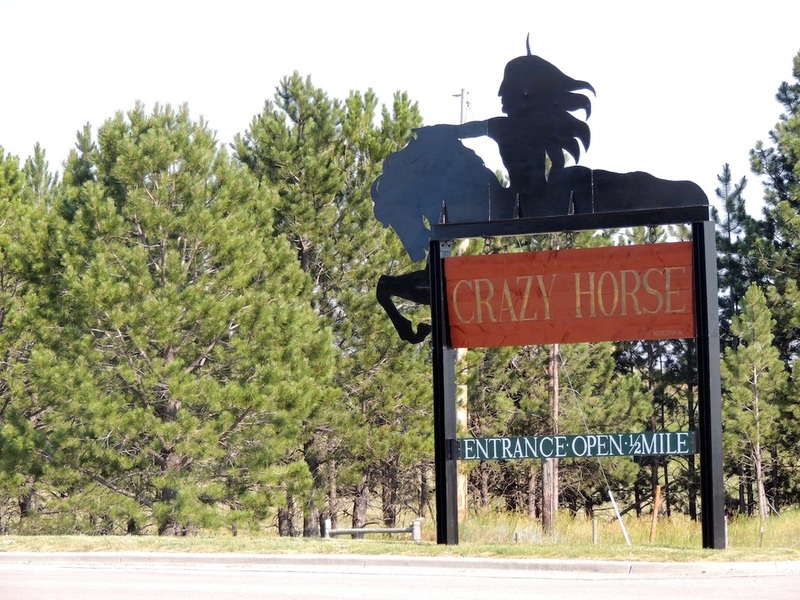 The massive Crazy Horse monument is currently under construction. 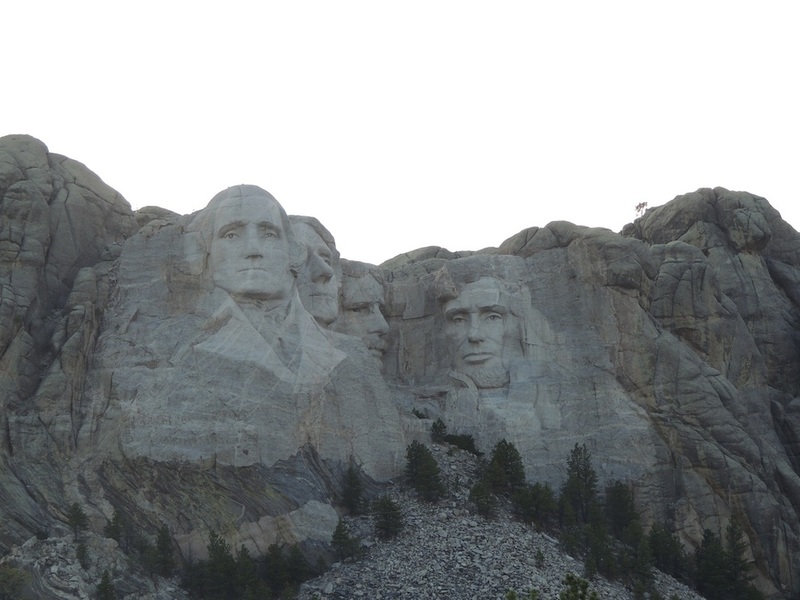 It's getting late on July 4th and there must be a big event going on at Mr. Rushmore, for as we head there we see lines of cars waiting to enter the monument. We decide that the day has been long enough and we still have some miles to go to get to a hotel, so we stop by the side of the road and take a few pictures before heading out of the park. We arrive at Rapid City to find that many hotels are booked up. We find a room at the Country Inn and Suites and get a huge room, and the hotel has the best breakfast that we've had along the way - a huge pot of oatmeal, fresh fruit, real dishes (we feel awful at most places where everything is plastic and thrown away.) Great start to the next day's journey. Leaving Shelby we travel south on Interstate 15 to Great Falls. What a great interstate - perfect road, no cars. From Great Falls we head east on Route 87. We now know why they are called the GREAT PLAINS - they go on and on and on and on and on and on... not a tree as far as you can see. Sometimes there is wheat planted, sometimes just grazing land for cattle and sometimes just nothing. The road is great and we meet a car every 20 minutes or so, but the wind is ROARING across the plains and it's getting HOT. The wind catches us in a sideways direction and Billy has never had wind like this - it's a continual struggle to keep the bike up. It's hot, windy, and more plains, hot, windy, and more plains. Did I mention that it was hot and windy?? 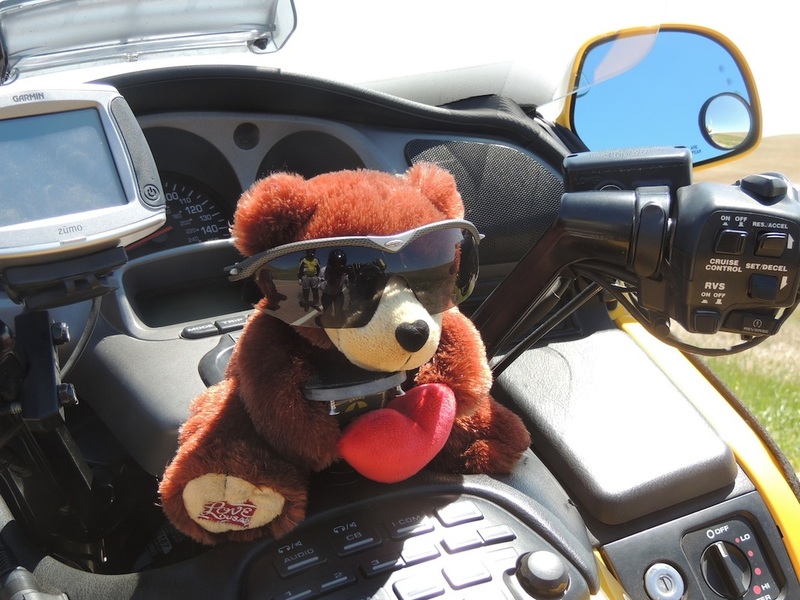 We roll into Miles City at 104 degrees (40 celsius). The heat feels just like Arizona - hot, dusty and dry, unusual weather the locals say. Also, like the desert where there are big differences between the low and high temperatures, the low temperature for the night is 62 degrees (17 celsius).